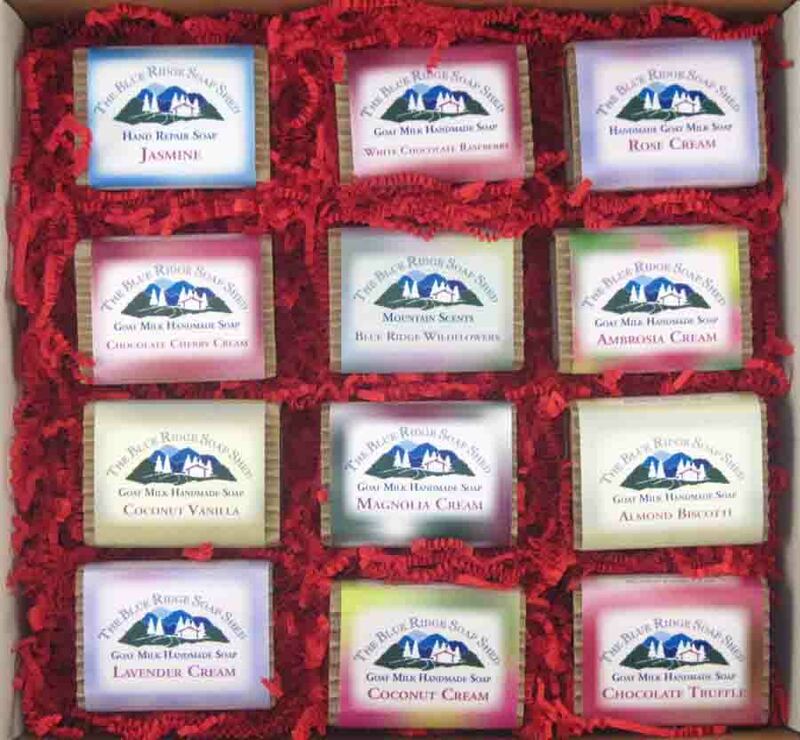 Take a look at our Gift Boxes below, with four to 24 bars of our luscious handmade soaps. Select the scent theme you'd like to fill your box with, from lavender to hand repair, to goat milk to floral fragrances. You can add raw, organic shea butter, Dead Sea Salts and a hardwood soap dish, if you choose.